Magic Leap still hasn’t released or even revealed its mixed reality headset, but the company had some big news to share on Thursday. Company founder Rony Abovitz announced a partnership with Lucasfilm’s ILMxLAB during a Wired business conference, revealing a short video teaser recorded using Magic Leap technology for the upcoming holographic Star Wars experience. 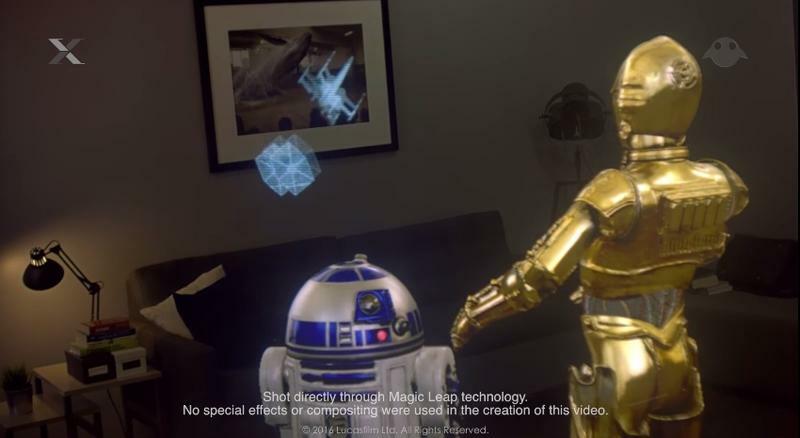 The “Lost Droids” mixed reality test brings R2-D2 and C-3PO right into your home. As the scene starts, the action is already underway and you’re quickly thrust into a classic Star Wars adventure. R2-D2 then rolls across the room and projects a hologram onto a nearby physical table, showing a live map of your fictional surroundings as Storm Troopers search for you and the Millennium Falcon takes off. The image pans out to show TIE Fighters chase after Han Solo’s iconic ship while you and the droids watch in awe. “How did we get into this mess?” C3PO asks as the video abruptly ends, leaving us desperate for more. There’s still no word on when Magic Leap or this specific game will actually be available, but the two companies are working on a pretty big collaboration out of ILM headquarters in San Francisco. That could mean tons of mixed reality Star Wars experiences just as soon as the highly-anticipated headset actually hits the market.